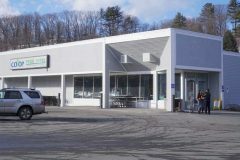 The Hanover Co-op Food Stores location in Hanover, New Hampshire. 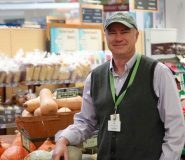 If you’ve ever seen a picture postcard of a quaint New England town, then you have a pretty good idea about the communities Hanover Co-op Food Stores serves, according to Allan Reetz, director of public relations. 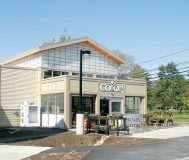 The 81-year-old co-op operates four retail stores in the Upper Connecticut River Valley, in Lebanon and Hanover, New Hampshire, and White River Junction, Vermont. The small, idyllic towns lie along the border between the two states. Hanover is home to Dartmouth College. The retail stores are located within a seven-mile radius and collectively see more than 5,000 transactions each day, Reetz said. 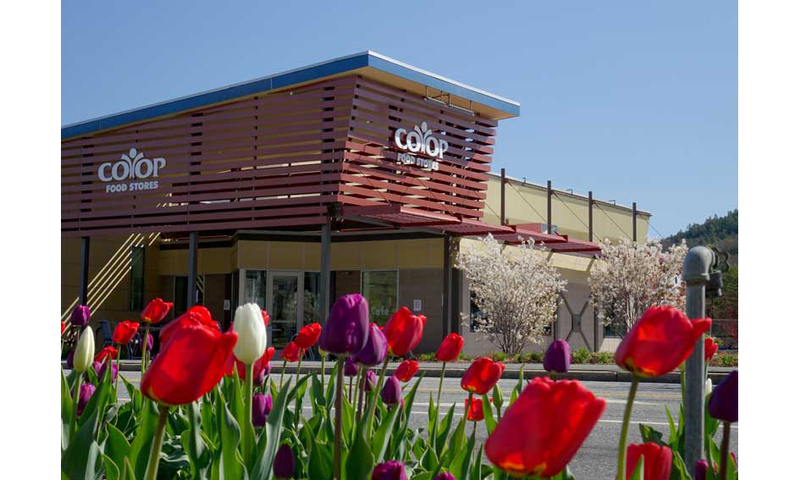 The co-op also has an auto service station and a commissary, or Co-op Kitchen as it is called, where products are made for the stores, including fresh-cut produce. Because the towns are located along the Connecticut River, there still is an agricultural feel to the area, and because large employers include Dartmouth and a teaching hospital and medical center, consumers are well-informed and appreciative of the co-op model. 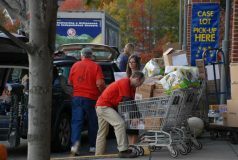 Though there are fewer than 15,000 residents in the core towns of Hanover, Lebanon and White River Junction, “Our Co-op” boasts 24,000 members. They make up approximately 75 percent of all shoppers who frequent the stores, said GM Ed Fox. Fox was recruited to lead Hanover Co-op Food Stores. He was familiar with the stores, was looking for an opportunity and people he’d worked with before suggested he try for the job. He came on board in September last year and officially took over as GM on Nov. 1, 2016. Fox’s background is in manufacturing, including specialty foods, as well as in nonprofits, including the Vermont Food Bank, which is part of the Feeding America network. He most recently was VP of operations for a nonprofit based in Boston that serves children in need. That background gave him the right tools for leading Hanover Co-op.“It’s interesting because the co-op world kind of lands right in the middle of the two,” Fox said. Fox is himself very active in the local community. He serves on the board of a local nonprofit, as well as other boards and local committees, and is involved with local business leaders and elected officials. He engages with them on local issues, including those that most concern the co-op and its members. Hanover Co-op holds a three-day case lot sale each year. AGNE team members join the staff to make it a success. Over the course of the most recent three-day sale, customers saved more than $152,000 on products from canned tomatoes to pork loins that were sold by the case, large bag or freezer pack. In the photo, co-op staff members help customers load their cars. Its impact is amplified by its relationship with more than 300 local and regional food producers and vendors. Hanover Co-op Food Stores also focuses on sustainability out of concern for the environment. In September, the Environmental Protection Agency named the co-op a top retailer for reduction of greenhouse gas emissions from its coolers and freezers. 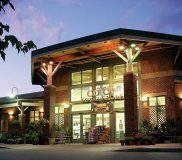 Among 10,800 GreenChill Partnership grocery stores in the U.S., Hanover Co-op recorded the greatest improved emissions since joining the partnership—an 82.9 percent reduction since 2011—as well as the most improved emission rate from the previous year—a 77.4 percent reduction from 2015 to 2016. Hanover Co-op Food Stores also takes care of people. It offers a classic round-up program at the registers called Pennies for Change. Members and customers can round up the total of their purchases to the next dollar at the register. Pennies for Change got its start in June 2016 and already has produced phenomenal results. Through June 2017, members and shoppers donated more than a quarter of a million dollars. In 2004, the co-op began donating less-than-perfect produce to community service organizations. A local food-sourcing organization comes to the stores as many as three times each day and collects more than one and one-half tons of usable food each week. Fifty community service organizations benefit from that program. Community Market in Hanover, New Hampshire. 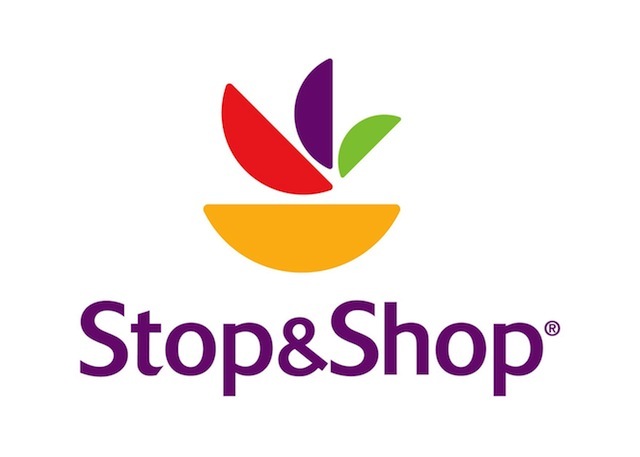 Hanover Co-op is a member of Associated Grocers of New England (AGNE). Fox said he appreciates the cooperative model and named two of the biggest benefits of being a member. The first is the availability of product. Hanover Co-op offers its member-owners and shoppers a wide variety of products. Conventional offerings are there along with natural items and organics. He said the other top benefit is the quality of AGNE’s offerings. “It’s always very good quality and there always is a good quantity available,” he said. Being part of AGNE also is important because like Hanover Co-op, it is a local operation. AGNE is based in Pembroke, New Hampshire. The Lebanon, New Hampshire, location. Of the many industry trends grocers follow, the move to get more local products in stores is near the top. “Local” can be a subjective term. When Hanover Co-op was established, it was clear that local products were to be a priority. Reetz referred to the minutes of the very first meeting of the 17 local families who founded the co-op in 1936. “It says that they committed to buying from local vendors as much as possible,” Reetz said. “We’ve been at this game for about 81 years and what I would say is it is distinguishing what local really is. For us, produce that comes from four or five states away is ‘Northeast,’ and that’s fine. There are great farmers all around. Hanover Co-op in White River Junction, Vermont. Over the past year, Hanover Co-op has invested in a perpetual inventory system as it changed its point-of-sale structure, software and hardware. It also reinvested in its kitchen operations. The goal moving forward is to continue to enhance the in-store experience. Reetz agreed and said the cooperative also is investing in its people to maintain its competitive edge. Fox said that at the end of the day, the goal of the co-op is not to sell something to someone. There is a different dynamic at work. *Editor’s note: This is part of the 2017 ROFDA Report, which appears in the December 2017 print editions of The Shelby Report and The Griffin Report of the Northeast.